Motorcycle oil is one of the most important components of your motorcycle and can help in tuning-up the engine performance and overall life of the motorcycle. If you want to know more about motorcycle oils and which one is the best for your engine, you’re at the right place. First, let’s understand what the purpose of motorcycle oil is. Simply put, motorcycle oil is like a maintenance crew inside your engine itself. It reduces the friction, and consequent wear and tear inside your engine. It also serves as a coolant, taking away the heat from the engine. Additionally, it collects and carries away debris and dirt inside the engine, and neutralizes the acid and moisture produced during internal combustion. It also offers protection from oxidation for when the engine is left sitting for a long time. SHOW ME THE TOP 16 ENGINE OILS NOW! The most important function of motorcycle oil is lubrication. This is when a thin film of a liquid is inserted between two solid surfaces moving in relation to each other. This reduces the friction between the two surfaces, and subsequently reduces the wear and tear of the two surfaces. Although all liquids can act as lubricants to some extent, there are several factors affecting a liquid’s effectiveness in a particular situation. Selecting the right motorcycle oil is very important. However, to beginner riders, this may seem like a daunting task. There are different weights and grades out there, and everyone has a different opinion when it comes to motorcycle oils. Here, we have some basic tips for you, as well as, a well curated list of 15 best motorcycle oils, to make your selection process a little easier. This is perhaps the first thing you need to look at. Manufacturers are experts in their field, and certainly know what they’re doing. They know your engines inside out, and have a vested interest in keeping your engine healthy. You’ll never go wrong following a manufacturer’s recommendations. However, what if you want to change you oil at a gas station and they don’t have your favorite synthetic oil? You should try to avoid mixing oils at all costs, but in some cases, such as this one when you’re on the road, it can be inevitable. So what to do? The general rule of thumb is to never mix two synthetics from different brands. This is because their chemical makeups might be drastically different, and thereby, incompatible. This could lead to problems in your engine, and ineffective lubrication. In this case, you can go with the same brand’s synthetic oil, but in a slightly different weight. Make sure that the weight of oil is compatible with the current temperature. If that’s not available, go for one of the conventional oils from the same company as the oil currently in your engine. If by any chance, even that’s not available, then go for any conventional oil by a popular brand. Try to find one in the same grade as the oil already there in your bike, but if a lighter grade oil is your only option, then so be it. The viscosity of the oil being used is a very important factor to consider before buying a motorcycle oil. Viscosity is essentially how “runny” the liquid is, or how much it resists flowing. Liquids with a higher viscosity, like molasses, are thick and resist flowing. Thinner liquids like water have low viscosity, and flow easily. If the viscosity of the oil is too high, then it will generate excess friction between the engine parts, and it will require more energy to move the parts. This will rob the power of the engine, and will cause wastage of fuel, as well as sluggish performance. High viscosity is clearly not ideal for motorcycle engines. However, the viscosity shouldn’t be too low either. If that were the case, water would have sufficed as a lubricating agent in engines. Fluids that are more viscous can form a thicker film on top of the moving parts. Because of this, they can prevent the engine parts grinding on each other, which was the whole purpose of the lubricating agent. Thinner liquids will simply not be able to prevent the parts of the engine from grinding against each other, and will simply leak away. Besides, the more viscous the fluid is, the better it can withstand pressure. So clearly, the viscosity of motorcycle oil should be in a Goldilocks’ zone, where it’s thin enough to provide proper lubrication but thick enough so that it can withstand the pressure and form a thick enough film between the moving parts. Sometimes, the best way to decide if a product is good for you or not is to see if the product was good for others. Always check the reviews that a particular motorcycle oil has received before you decide to purchase it. The best motorcycle oil should not just be ideal in theory, it should be able to prove itself during practical use as well. Reviews are an excellent way to determine if an oil is really as good as it is advertised to be. When looking at reviews, you should try to look for engines that are the same as yours, or similar to yours. This will help in narrowing down your search, and make it relevant to what you need. This will be especially helpful if your bike model is a popular one, since you’ll be able to find plenty of reviews. If you want, you can consult long time riders as well. However, don’t be completely reliant on reviews alone. If you’re checking the company’s website, you should know that they probably filter the testimonials displayed, and that only the positive reviews are shown. Additionally, you should always remember that what works for most people’s bikes may not work for yours. Maybe your priorities regarding the performance are different, or you’re using different kinds of oils. The price is another thing you may be concerned about. Mineral oils cost less than synthetic and semi synthetic-oils, but you need to change the oil much more frequently if you’re using mineral oil. In addition to that, some synthetic oils may be more expensive due to certain additives. Branded oils which are provided by reputed companies will definitely be more expensive, but you can rest assured that they come from a reliable source. Overall, it is better to invest more in the oil that is perfect for your engine, and buy from recognized brands. This will protect your engine and keep it running for longer, and will ultimately save your money. That doesn’t mean that you should simply pick out the most expensive oil on the market, but rather, be sensible about it. Don’t hesitate to spend all that’s needed, but don’t buy into all the additives that you don’t need either. Do your research, and you will find the best motorcycle oil for your bike. The grade of the oil you’ll be using in your engine is very important, as we’ll see ahead. The grade of the oil tells you in which temperature range the oil is the right amount of viscous to provide effective lubrication. The numbers you see on the pack are usually something like 10W30, 10W40, 15W50, etc. This can be a little overwhelming to look at, but it’s actually pretty simple to understand. The numbers with a ‘W’ in between are basically multigrade oils. Before understanding the grading system, let’s first talk about multigrade oils. As mentioned before, the viscosity of oil can vary a lot depending on the temperature. This means that in winters, an oil which worked fine in summers would put a lot of pressure on the engine during cold starts. This causes wear and tear of the engine. Using lighter oils throughout winter and switching to heavier oils in summers was only partially successful, so multigrade oils were introduced. A multigrade oil contains VI improvers, which are long chains of olefins and polystyrenes that curl into little balls at lower temperatures. As the temperature increase, these unfurl and prevent the loss of viscosity at higher temperatures. So a 10W30 acts like a 10 weight oil at colder temperatures, and a 30 weight oil at higher temperatures. As we can see, the number before the ‘W’ signifies the lowest performing temperature of the oil, and the number after the ‘W’ shows the highest performing temperature of the oil. So using the SAE grading system, for example, a 10W30 will perform sufficiently well in the -25℃ to 30℃ temperature range. The efficiency of the oil you’re going to be using is another very important factor to consider while selecting the best motorcycle oil for your bike. The efficiency of any oil in your engine depends on a number of factors. You motorcycle’s age, the type of engine, the type of oil that is recommended by the manufacturer, grade, viscosity, all of the previously mentioned pints contribute in some way to the oil’s efficiency. For older motorcycles, the conventional oils are more efficient as they may not be compatible with the newer synthetic oils. Similarly, if you have a low-horsepower engine, which is gently ridden, then conventional oils or semi synthetic oils will be efficient enough, despite the more frequent changing that you may have to perform. However, if you have a motorcycle with a modern and powerful engine, nothing beats the efficiency of synthetic oils. They’re specifically formulated to keep your bike’s engine in top condition, and you will not be disappointed by their performance. Make sure to never use automotive oil in bikes as it is not meant for motorcycles, and will damage your engine. Now that we’ve looked at some of the things to keep in mind before choosing a motorcycle oil, let’s have a look at the best motorcycle oils available in the market. This is a great motorcycle oil, and quite a number of user vouch for this motorcycle oil. Although this is formulated especially for Honda bikes, it works quite well with other brands too. Check in your user manual for the weight of oil ideal for your engine, and if this meets the criteria, you’re in luck. The amount of oil provided at one time is also quite generous. However, you’ll probably not need it all in one go, so you should keep a way of disposing used oil handy. It’s a little expensive for a non-synthetic oil, but it’s well worth the price. This oil shows better shear resistance than most similar type of oils, and shows sufficient viscosity and stability. All in all, it’s well worth the price tag that it comes with . You can also feel your engine shifting better with this oil. Also, this oil is specially formulated for four stroke engines, so you should keep that in mind if you want to invest in this oil. If you have a four stroke engine, it’s well worth it, even if your bike is of a different brand. However, if your bike features another kind of engine, be careful before pouring it in. Many users have reported hearing their engines sound better, and run smoother when using this oil. This oil also protects your engine from abrasion, unlike other cheaper alternatives. It is definitely worth buying if it is compatible with your motorcycle. It comes from a trusted brand, and delivers an excellent performance, so it’s worth buying. 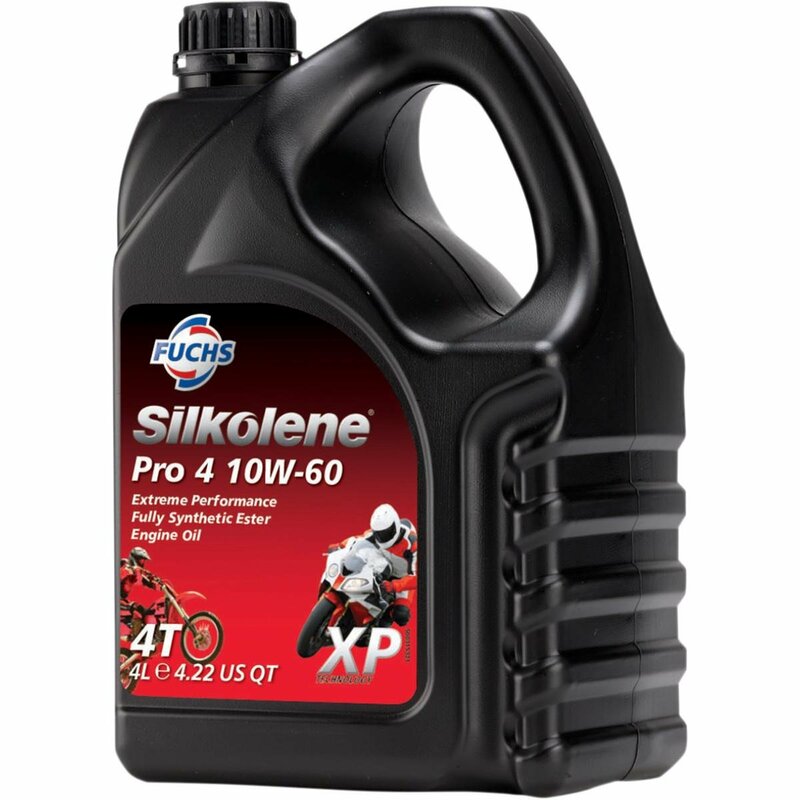 This is a part synthetic motorcycle oil that is favored by a lot of users due to its unique properties. As it is part synthetic, it is less expensive than fully synthetic oils, but the performance it delivers is quite noticeably better than most conventional motorcycle oils. This is another oil that works well for four stroke engines, so check what kind of engine you are using before investing in this oil. Castrol has sponsored a lot of racing events, and is a brand that’s generally associated with high performance oils, and this one is no exception. This oil comes with a formula that actually clings to parts of the engine to protect it from wear and tear. The oil has been formulated with Heat Protection Molecules to prevent the formation and buildup of high temperature combustion deposits. Other than protecting your engine, it also greatly improves the performance of a engine, especially at hotter temperatures. As a result of its unique properties, it is able to help the engine perform smoothly for longer periods of time. This oil is also useable in both fuel-injected and carburetor units. Overall, it’s a great oil for providing protection to your engine and gearbox. This is a fully synthetic oil that comes at a very unusual grade, which can be useful in certain cases. This 10W60 fully synthetic motorcycle oil is the best for places with really hot weather, which may require an oil with a really high grade. 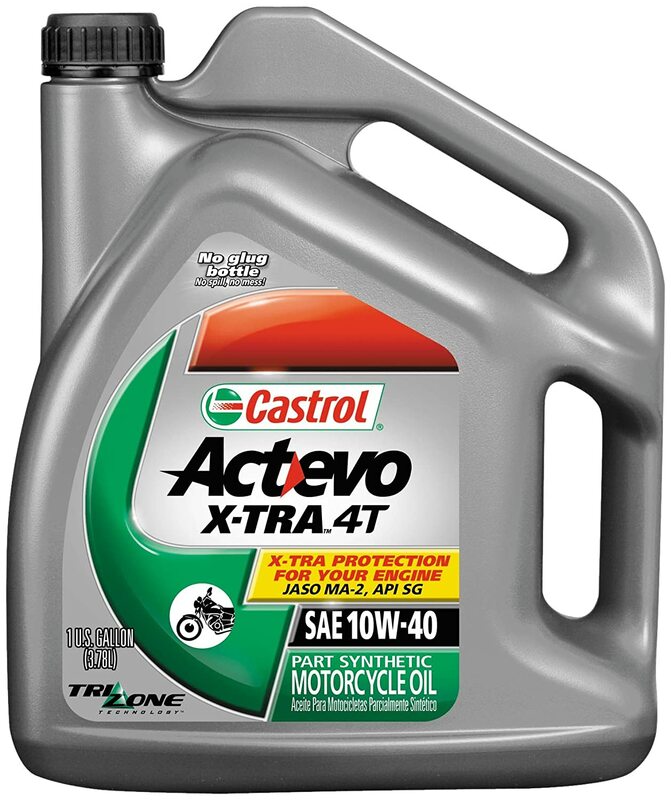 This oil comes with a host of features that will allow your motorcycle to run effortlessly. The oil shear stability is very high, allowing it to provide better lubrication for longer. It works great under pressure, and provides superior anti wear performance for parts that take a lot of stress.. The high temperature deposit control provided by this oil allows for an engine that is cleaner and smoother. It also extends the engine’s life by providing excellent lubrication. In addition to all the above mentioned points, it also provides good corrosion resistance, allowing your engine to stay healthier for longer. As mentioned before, in case of engines, and internal combustion, oxidation and nitration can cause your engine to corrode really easily. This oil provides resistance against those effects as well. All in all, this is a great investment to make due to its superior qualities and excellent performance. It’s available at quite a great price as well, considering it’s a full synthetic 10W60 oil. Its likely the best synthetic motorcycle oil. 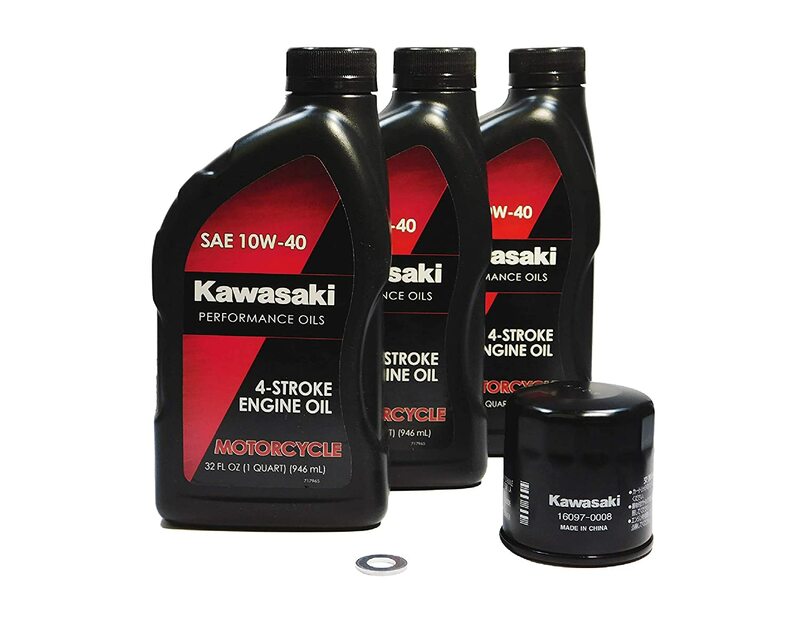 This motorcycle oil comes in a convenient kit that enables you to change your oil quickly and effortlessly. This oil is suitable not only for motorcycles, but ATVs and UTVs as well. The oil changing kits are specific for each vehicle so that you get the correct oil, filter, and drain bolt crush washer for your vehicle. There is plenty of oil in the kit, and the drain bolt crush washer will allow you one change. 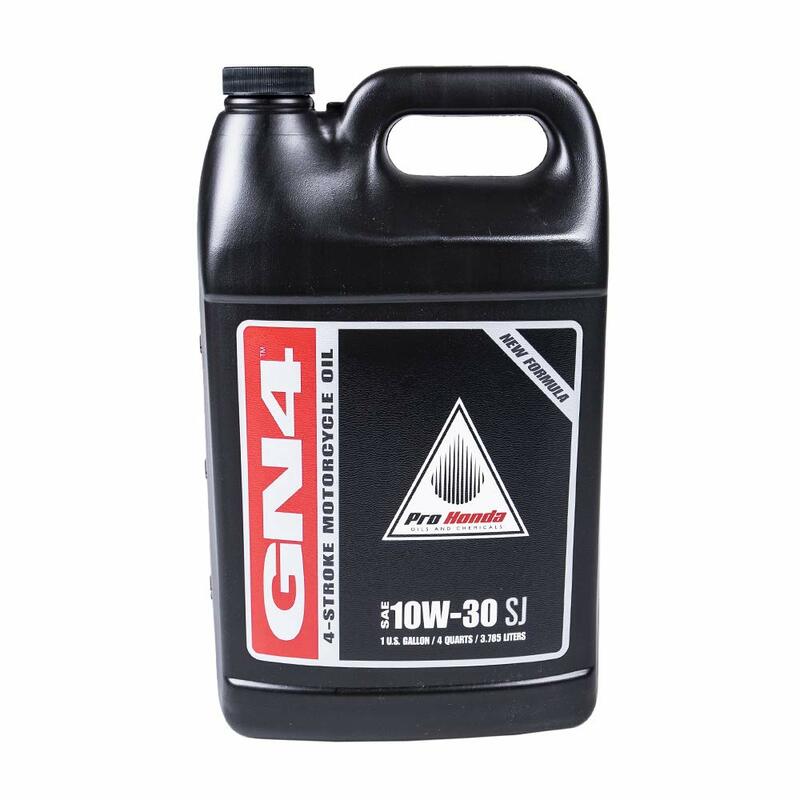 Although this oil is better suited to Honda vehicles according to the manufacturer’s recommendations, this can work for other motorcycles as well. It is quite specific to each kind of vehicle though, so check your manufacturer’s recommendations before purchasing the oil to see if it’s good for your engine. This is a 10W40 oil, so will work pretty well in average weather range. The specificity means it’s formula is quite well suited to your motorcycle engine, and will keep it in excellent condition for a long period of time. The kit is great if you’re just starting out with motorcycles, and will help you change up your oil on your own easily, and deliver great performance. It is also quite affordable, considering you’re getting a full kit for one change. This is the best motorcycle oil 10W40 for bikers who are just starting out. This oil is definitely made for heavier bikes, and for those who want a little more speed out of their bikes. It is a fully synthetic oil, which helps the emissions a lot. This is because crude-based oils do not have clear emission, which can affect the motorcycle’s filter, as well as, the engine. Crude oil tends to not clean out the engine as well, while this oil definitely exceeds expectations there. This oil also has the ability to maintain viscosity under great mechanical shear and stress as well, which makes it ideal for tougher engines. This motorcycle oil is designed perfectly for four stroke engines. It features outstanding oil consumption and control, which along with the high performance at hot temperatures makes it a favorite for fast bikers worldwide. The clutch of the bike is a very important part of the whole handling system. A good clutch will not only make driving your motorcycle a comfortable experience, but also that much safer. This motorcycle oil is designed to be able to provide good conditioning to a wet clutch, and it maintains your bike’s overall inner atmosphere very well. This motorcycle oil is vouched for by many experienced riders, and it is also recommended by experts. Yes, this motorcycle oil is API SL and JASO MA-2 approved. Overall, it stands out to be one of the best motorcycle oil wet clutch. Ducati is another well known name in racing, and this oil is built to satisfy high quality standards. 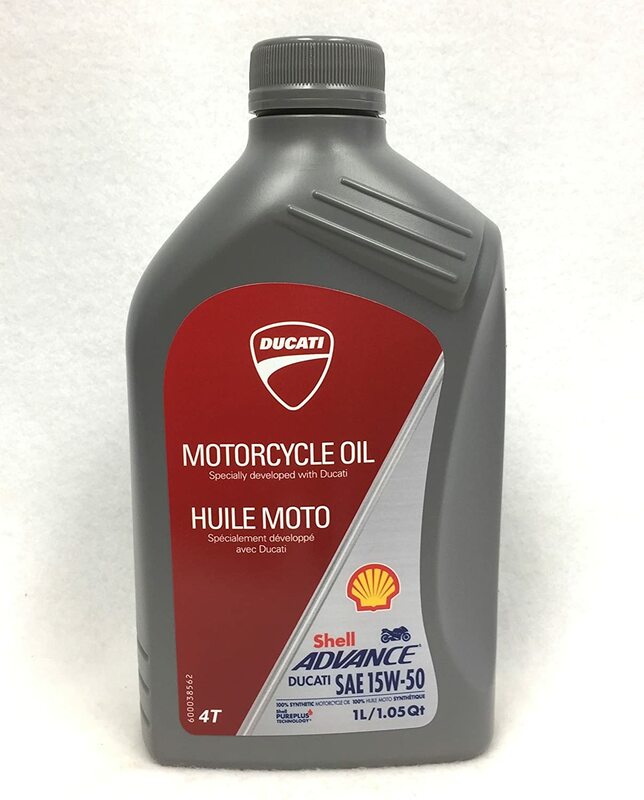 This oil also happens to be the official factory Ducati oil for all Ducati models, so if you have a motorcycle belonging to this company this oil is one of the best options out there. As you can tell by the name already, this 15W50 oil is better suited for hotter areas. The oil has been formulated keeping higher temperatures in mind, hence the higher SAE grading. This oil offers unmatched wear protection, and does wonders for your engine’s life and maintains a better performance for longer. This oil also helps keep your engine parts cleaner, especially the pistons, which greatly improves the efficiency of the motorcycle. This enhances the fuel economy of your engine, saving you money in the long run. This motorcycle oil is quite affordable for a synthetic motorcycle oil, and also delivers quite well. The most important reason that this oil is an essential for Ducati owners is that it’s been specially formulated for Ducati’s signature Ducati Variable Timing (DVT) engines. This, along with the oil’s superior heat protection, makes it one of the best motorcycle oils in the market. This is another motorcycle oil specially formulated for a particular brand of bikes, but it works equally well with other motorcycles as well, provided you read the manufacturer’s recommendations carefully. This is an official Suzuki product for the bikes manufactured by the same company. It offers a host of features that make it a great oil for your motorcycle. This model of oil fits all 4 cycle motorcycles, which means it’s suitable for most modern motorcycles. The viscosity rating for this particular oil is 20W50, but it is also available in 10W40 grade, which means you can buy it according to what the ambient temperature range is, and what your manufacturer recommends. 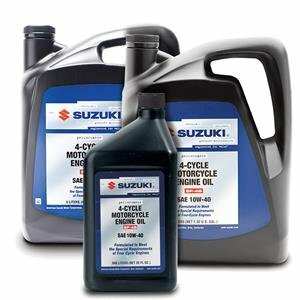 It’s quite a great oil for Suzuki models, but owners claim it works quite well in other models as well. You just need to be sure of the grade and type of oil recommended for your bike. This oil is also quite affordable, all things considered. Moreover, it meets all the standards set by API SF/SG/SH/SJ, and also meets the required JASO MA requirements. It is clearly a tried and tested motorcycle oil, and will definitely improve your bike’s performance. This happens to be a fully synthetic oil as well, so you don’t have to worry about frequent oil changes. This is clearly quite a great choice for most motorcycle riders. This is another complete kit for changing up your oil. Again, this is great for bikers who are just starting out, but this one happens to be highly specific. 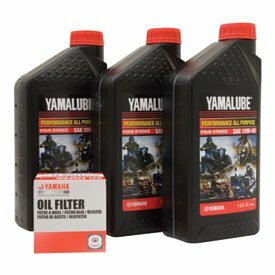 The manufacturer of this oil recommends it specifically for the Yamaha Grizzly 550. This is a complete oil kit for one oil change, and will definitely benefit your bike in many ways. It is advisable to change out your oil filters as frequently as possible, and this kit comes with OEM oil filters, which will greatly benefit your machine. It also comes with a lot of the necessary seals, and is overall a great buy for anyone looking for a beginner kit. However, this oil is quite specific in the nature. It would work best in a bike with similar specifications as the Yamaha Grizzly 550. Also, you may want to check if the other things provided with the oil are compatible with your machine before you start changing out filters and seals. The kit contains enough oil for a complete oil change. Again, since this product happens to be very specific, make sure to check if the oil is the ideal amount for one oil change for your bike. Overall, this is another great oil, and is quite a reasonably priced kit, but it is highly specific and engineered for a specific bike. Just be sure of what you’re doing and this oil will do wonders for your motorcycle. This is a fully synthetic oil that is geared towards improving the performance of your bike, and though the price tag with this one is quite significant compared to the other oils we have looked at so far, the performance it delivers is exceptional. The oil is attracted to heat, and hence will move to lubricate and cool down the hottest parts. This will help reduce the friction and heating problems in the engine, which can really help reduce the wear and tear in the engine. The oil also claims to be able to increase the horsepower, and fuel economy of the engine. The cooling action of the oil also helps reduce the overall operating temperature of the engine, which works to improve the performance as well. This also helps reduce the noise the engine makes, and many users have reported a quieter and smoother running engine after using this oil. The oil’s formulation also allows it to cling to parts of the engine without drag, and hence, reduce the wear and tear taking place during a cold start. If you’re ready to make the investment, this is one of the best motorcycle oils currently available. 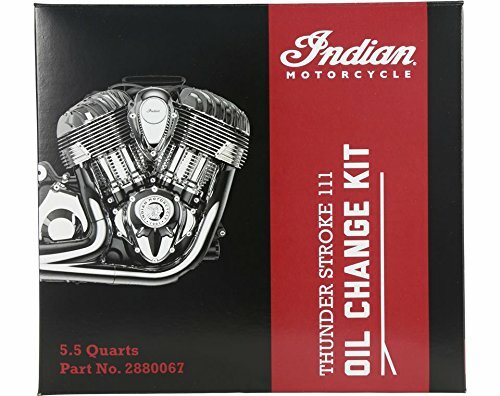 This is another oil change kit that is great for beginners, but it also provides great quality for experienced riders. This is a 10W40 oil, which means it works great for most engine models in an average temperature range. This oil is ideal as a general purpose oil, and is quite affordable as well. The Kawasaki Versys-X provides superior lubrication, and has great shear resistance. 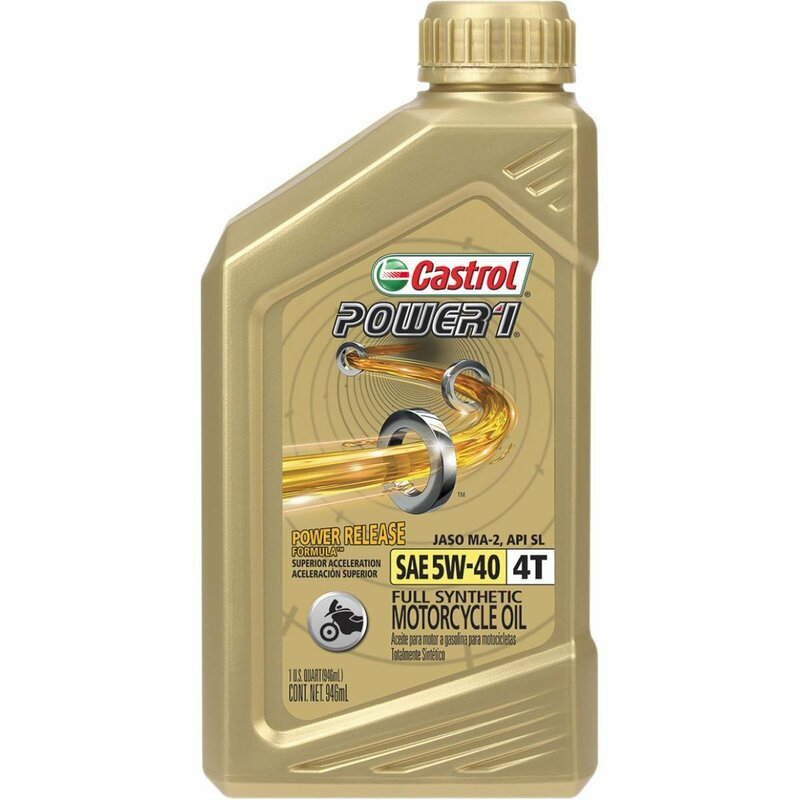 This oil has been specifically formulated for four stroke engines, so make sure your bike has an engine of compatible type before you go ahead and purchase this oil. 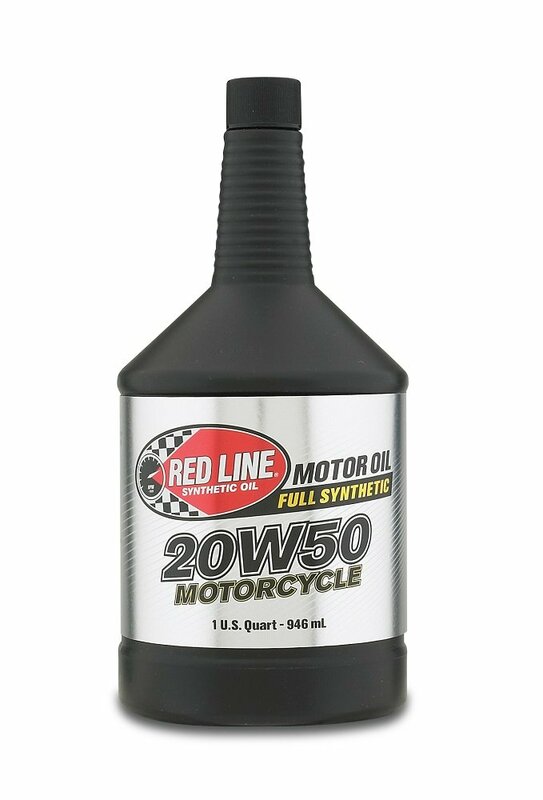 If your engine type does happen to be compatible, you’re in luck, because this is the best motorcycle oil 10W40 out there. It helps improve the life of your engine, and improves the overall performance of your bike as well. Users of this oil report hearing their engine grow quieter after using this oil. This oil kit comes with a canister oil filter, so you’ll be able to replace your oil filter along with your oil as well. You should definitely invest in this oil if you have a four stroke engine, and want the best performance out of it. 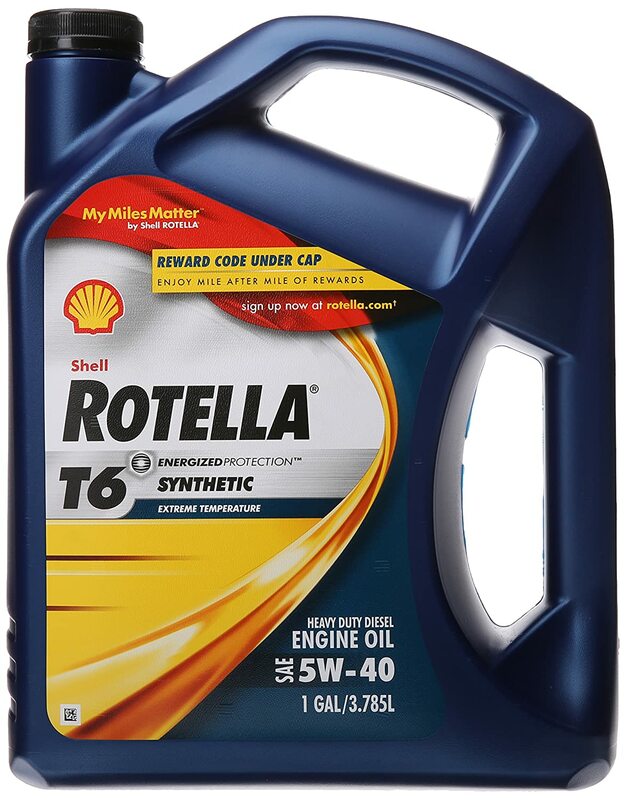 If you’re looking for an oil that’s easy on the pocket and comes highly recommended, check out the T6 Synthetic model sold by Shell Rotella. This revolutionary product delivers an enhanced fuel capability of 1.5% compared to other units by the same manufacturer. Additionally, it is not a compromise when considering engine protection as well. This is an all rounder when it comes to motorcycle engine oils. This product is a combination of synthetic base oils, as well as, multi-functional dispersant additives. These additivest can help protect your engine from the wear and tear caused by debris and other particulate matter. This helps prolong the life of your engine, and keeps it running smoothly for longer. The low-ash formula of the oil helps fight exhaust poisoning, increases the cleanliness of the environment and promotes the green factor. This oil happens to be a conventional oil, and hence, comes from petroleum products and/or refined crude oils. Because of this feature, it is safe and effective in any motorcycle, regardless of its age. Overall, this is definitely an oil you should try out if you need a versatile oil. This is the best motorcycle oil for people who are looking for an affordable yet practical motorcycle oil. You will definitely see an improvement in your driving experience, and your engine will also last longer if you choose to invest in this oil. This is another oil that comes highly recommended by fellow bikers. This robust oil allows for a longer component life, which ensures that your bike can last as long as possible in peak performance conditions.The product has an SAE viscosity rating of 20W50, which is quite unique. This is a good range, especially for places with higher temperatures. The product specializes in giving your engine longer lubricant life and resistance to high temperatures. Another excellent feature adding to the ones previously mentioned is that the model is said to make less noise and to cause fewer leaks than usual oils. This will definitely improve your riding experience as quiet engines are very desirable in crowded areas. The fewer leaks experienced will save your money in the long run as you need to conduct fewer repairs, tightening, etc. This oil is a fully synthetic product. While some people may have reservations about synthetic oils, they are, in terms of performance, much better. Synthetic oils, this one in particular, can deliver reduced engine wear and superior mechanical performance when compared to traditional motor lubricants. This is the best synthetic motorcycle oil for your engine if you need an ergonomic and engine-friendly oil. 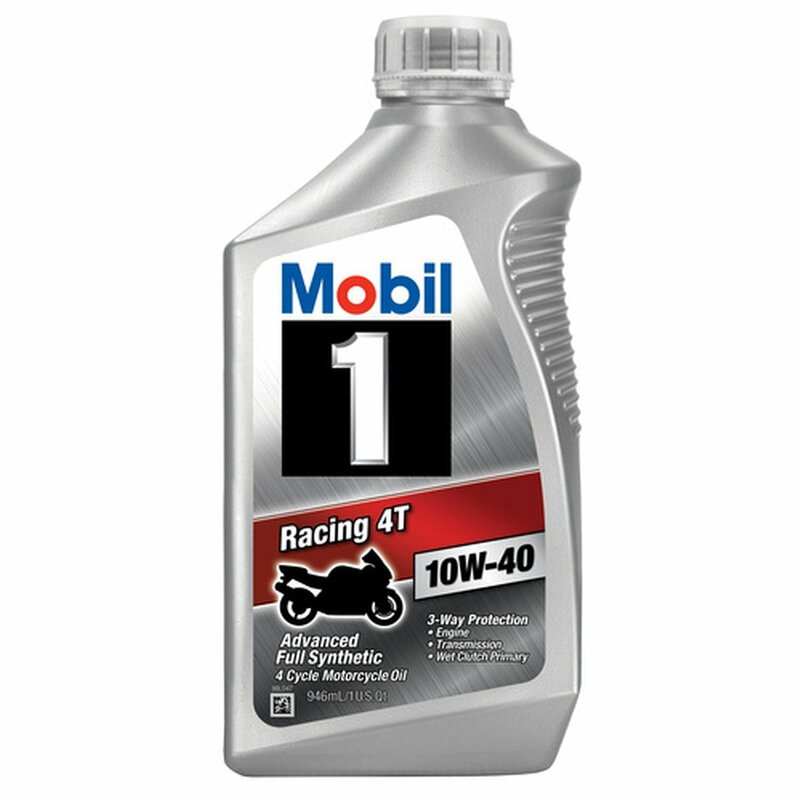 Mobil 1 is a well known company when it comes to racing, motor oils, and motorcycles. They have a lot of experience with motorcycles, quads, and dirt bikes, and it shows in the engineering of the oil. 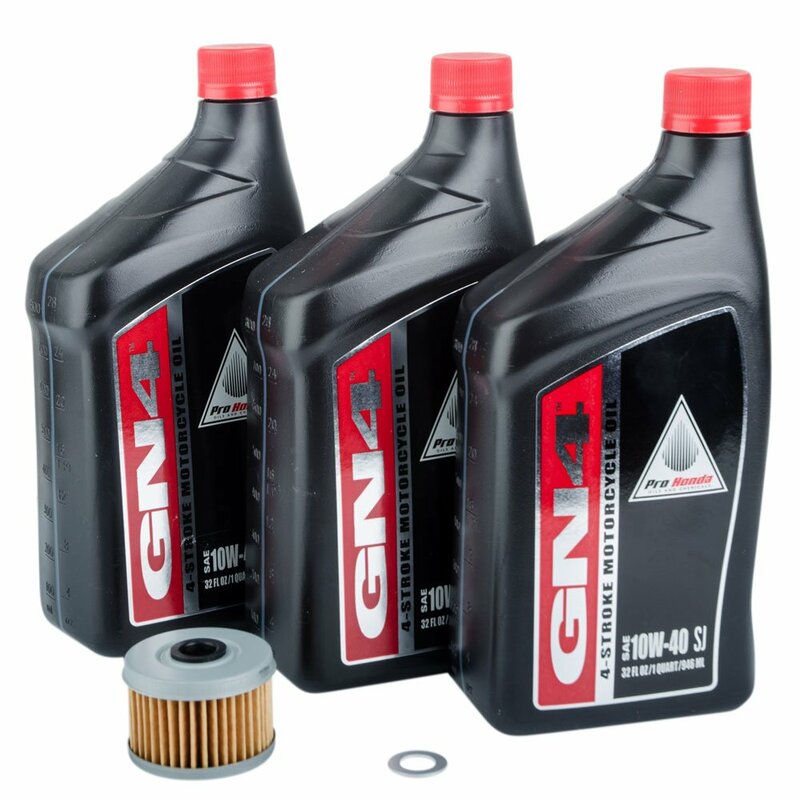 This product provides you with extra stability, which means that it’s very unlikely that you will have to deal with a lower viscosity in your engine and transmission components. In addition to that, this product delivers superior lubrication that completely exceeds expectations, so that the engine maintains optimum power and provides smoother acceleration. Further, this product specializes in giving you an optimized wet-clutch engagement that will definitely make this purchase worth it if you own a motorcycle with a wet clutch. Another one of the amazing features of this oil is the fact that it protects your engine from oxidation, slowing down corrosion and increasing engine life. Also, this model of motorcycle oil happens to be highly stable, and so resists high-temperature degradation. The product is fully synthetic and, therefore, will definitely be worth the value. The product has received glowing reviews so far. It has definitely shown to improve your engine’s performance, and the handling has markedly improved for some users after using this oil. As a synthetic oil, it is definitely worth the slightly high price tag that comes with it, and the long lasting nature of this oil will certainly impress you. This is another fully synthetic oil that comes with a variety of features due to its special formulation. 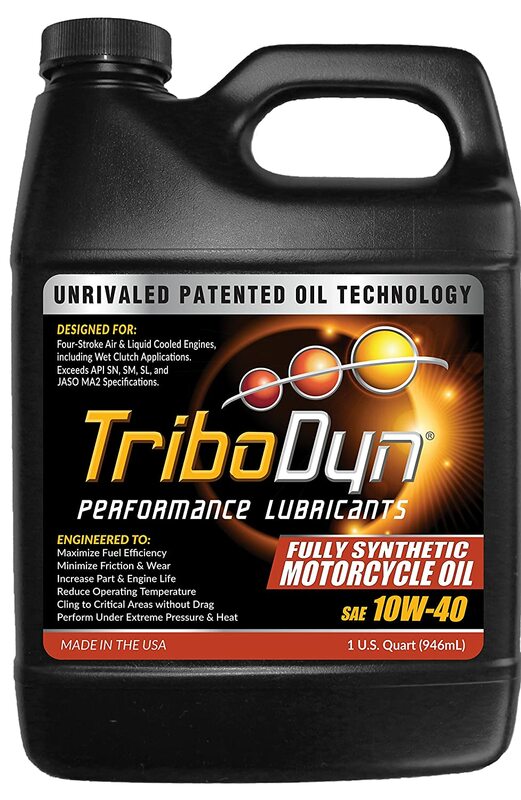 Synthetic oils are built to perform their best in motorcycles, and this one does not disappoint. This motorcycle oil was specially designed to be used with engines similar in build to the Harley-Davidson-produced Twin Cam and Evolution motorcycles. One of the key features of this product is the ability to withstand high temperatures. Its formulation can actually help prevent the loss of viscosity due to high temperatures. In addition to that, this oil has higher levels of additives with anti-wear properties, such as phosphorus and zinc. This helps keep your engine healthy for a long period of time. The only downside of this motorcycle oil is perhaps the price tag. This oil is quite noticeably expensive, even compared to other higher-end oils available in the market. In spite of the price tag, this oil has many repeated customers who are quite satisfied with its performance, so it is definitely worth the investment. 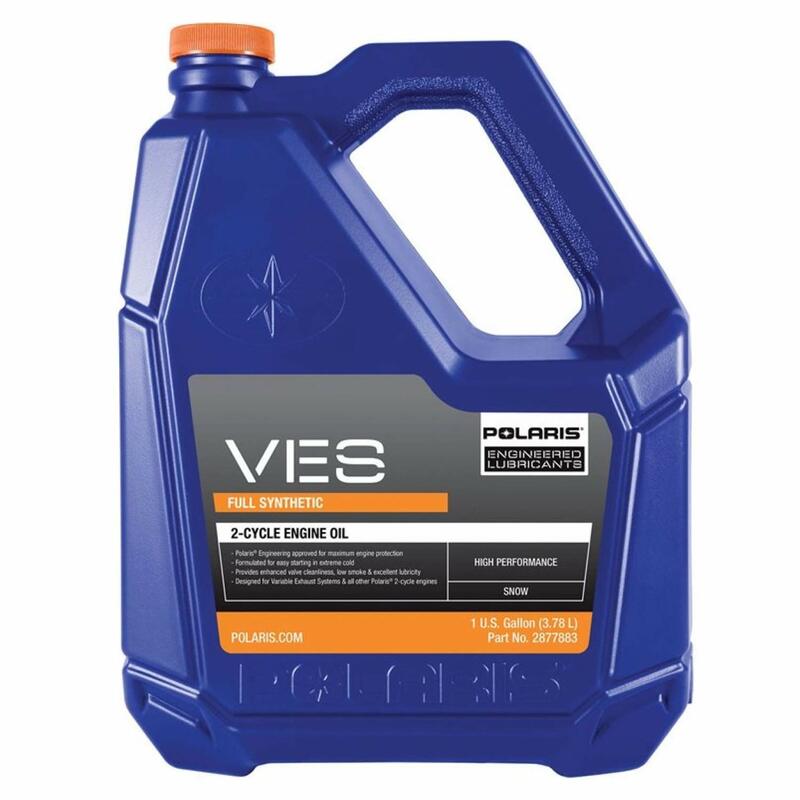 Polaris is another popular name among many veteran bikers, and it is well-respected in the community for the quality of the products that it delivers.This model of motorcycle oil has been commended by specialists as a quality oil that can guarantee the preservation of your engine. In addition to that, this product has been specially formulated so that your cold starts aren’t as tough on your engine, even when the temperatures are very low. This motorcycle oil can inhibit the formation of rust and corrosion as well, prolonging the life of your engine. 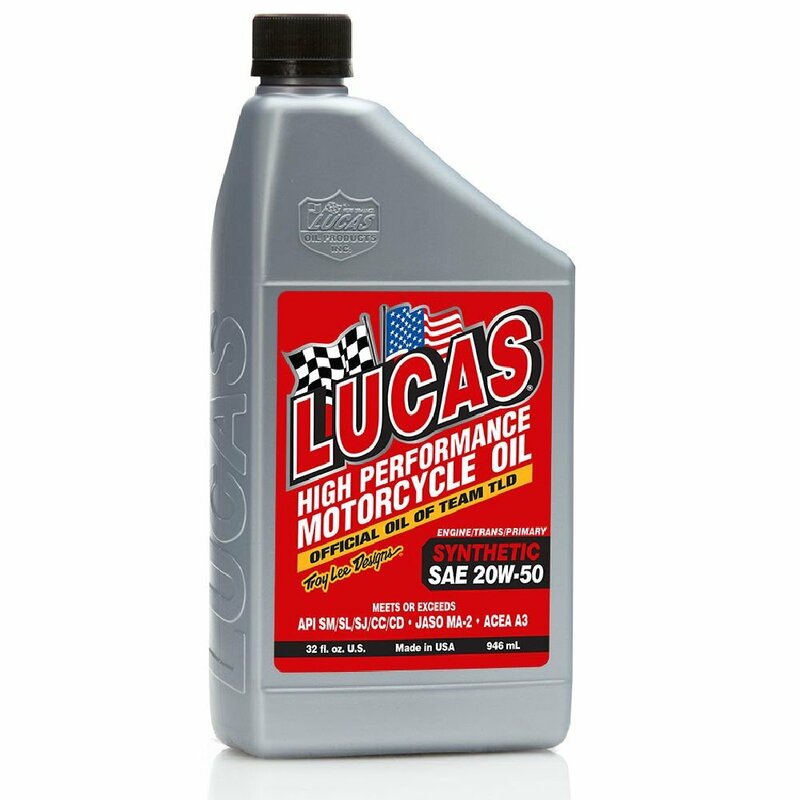 This oil happens to be a fully synthetic lubricant, and it will definitely be easy on the engine as synthetic oils are better suited for motorcycles.The engine will likely suffer minimal wear and tear while this oil is in use, and will definitely improve your riding experience as well. Overall the product has good ratings, and it is considered a good purchase, especially because of the many features that it includes. However, this product carries a hefty price tag, so some may be reluctant to go for it. Although, it cannot be ignored that this is an overall performance oil which works exceedingly well with most engines. This package comes with the proper amount of Indian oil, correct oil filter and an oil change sticker to track your next oil change. If you are a new biker, you are probably still learning how to work your way around a motorcycle jump starter and how to change the oil. In that case, it is recommend that you take a look at this kit. This complete package includes everything that you may require when doing a complete oil change. In addition to the supplies mentioned before, the kit comes provided with two washers, and 5.5 quarts of semi-synthetic motor oil to be precise. Changing your oil may be a daunting task, and the seller has included an instructions manual that contains all the steps you have to follow to be able to change your oil successfully. The users have mentioned that in case of any issues, you can contact the manufacturer as well. They provide great customer care and service, and will definitely help you out in case of any issues. This oil is different from most of the oils on our list as it is a semi synthetic oil. Semi synthetic oils are great for those who want features that are close to synthetic oils, but want to stay under a budget, and not invest too much on fully synthetic oils. Choosing the Best Motorcycle Oil is now Easy! Although there are many excellent motorcycle oils out there, you should consider your engine’s capabilities and your bike’s model and make before you pour any oil into it. There is simply not one single oil that can be considered the best, however, there is a best fit depending on your riding style and motorcycle’s specifications.